Striking Displays a UK supplier of Clip / Grip & Snap Frame Section We stock & supply a range of aluminium wall mounted & floor standing poster frames for indoor and outdoor purposes both portrait & landscape. 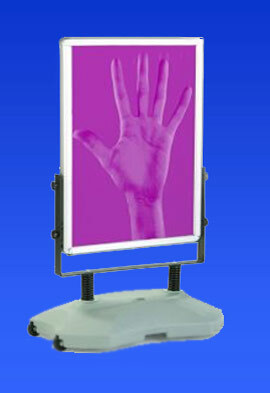 For use as sign holders, information points or retail poster displays, these are great for quick changing advertisements. 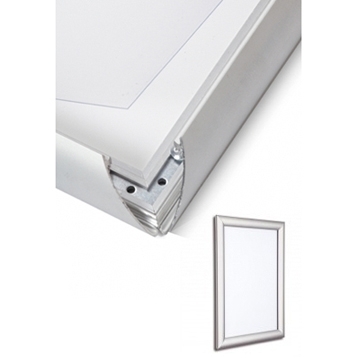 Our range of poster snap/grip frames available standard indoor, secure with a tool to open or lockable. Anodised aluminium as standard also gold and chrome and coloured finishes available. Standard sizes: A0, A1, A2, A3 & A4. Clip frames are also made to order in bespoke sizes. Please click on the images below for more product information.